Are you getting error while trying to delete file on Windows computer? In some cases, files just do not delete or remove and continuously give error on any attempt for deletion. Thankfully, there is workaround to delete such erroneous / undelete-able files on the computer. 1. 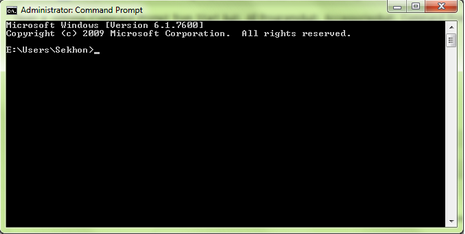 Open a Command Prompt from Start > All Programs> Accessories> Command Prompt and leave it open. Close all other open programs. 2. Now click Start > Run and enter TASKMGR. EXE. 3. Go to the Processes tab and End Process Explorer. exe. 4. Leave Task Manager open. 5. Go back to the command Prompt window and change to the directory where the erroneous file is located in. 6. Type DEL <filename> where <filename> is the file which you want to delete. 7. Now Go back to Task Manager. click File, New Task and enter EXPLORER.EXE to restart the GUI shell. 8. Now close Task Manager. And you are Done with deleting the file. Besides the gruelling manual procedure, there are number of free utilities to delete locked, in-use files on Windows PC.